As a sophisticated name in sun care products, Sun Laboratories boasts an advanced and innovative line of self tanning and after sun products. Established and family owned since 1983, they are the first professional self tanning product manufacturer and distributor. You can achieve a natural-looking tan in a matter of hours any time of the year, in a shade that compliments your skin tone. The Sun Labs Beach Bag Polisher Set is my new summer favorite. This usually sells for $109.95 but is now on sale at Sun Labs for the special price of $69.95. This would make a fabulous gift, for yourself or someone else! It includes all the summer essentials you will need for your skin. Here's what the set includes. 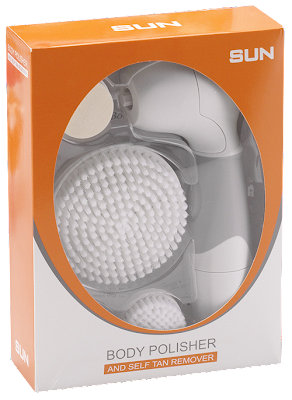 Sun Labs premium body polisher is the perfect helper to prepare your skin for that perfect golden tan! Comes with a a large brush for exfoliating your body, a small brush for your face, even a pumice for your feet or elbows! Another soft sponge for your face comes along in the box. So easy to use, just pop some batteries in, and your ready to rock and roll! It's water proof so you can bring in the shower with you! 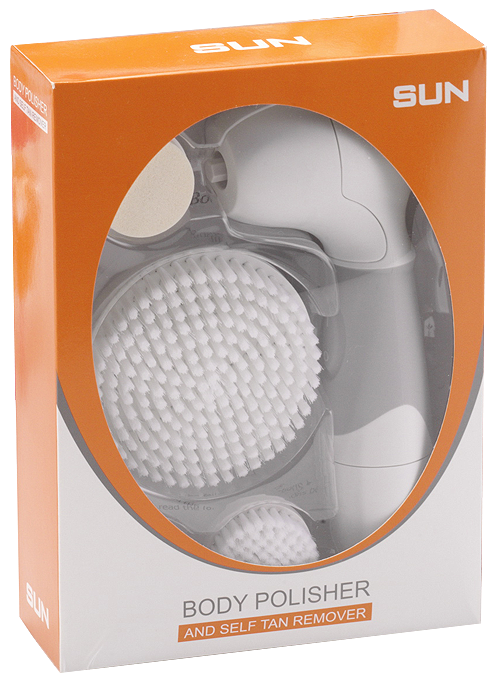 I love the body polisher, great for removing all that dead skin. I don't know if I have ever smelled Juniper Berry, but I'm loving it! ♥ The Juniper Body Gel is a unique body polisher that uses natural active ingredients , loofah and walnut shell powder to gently exfoliate your skin. I just recently started using exfoliants, and I really have realized what a difference they make. Not using them can make you look older and can make your skin color look blotchy or dry. Plus the smell of Juniper Berry is refreshing and delicious. Not too strong, it providers a fresh clean smell that I just love. The Juniper Berry Cleansing Gel works great with the exfoliator to moisturize and soften from head to toe! 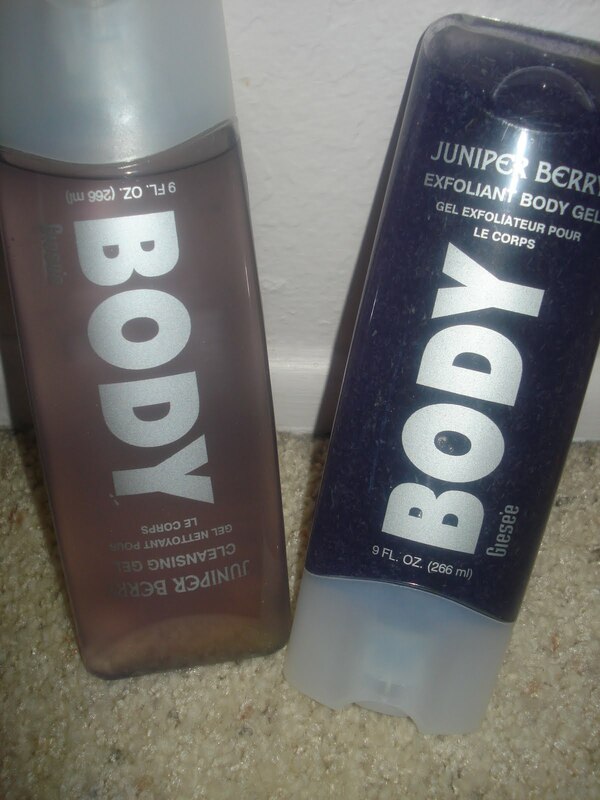 And once topped off with the Juniper Berry Hand & Body Lotion, well all 3 make a perfect shower experience. The lotion is perfect for just stepping out of the shower and moisturizing.